JoTiKa Ltd. ~ HM Bomb Vessel Granado Construction Page 6. 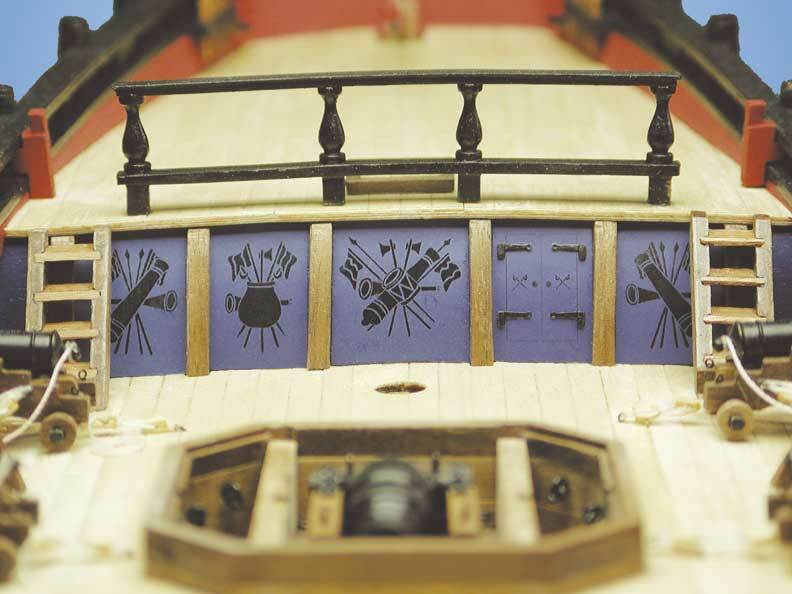 Three shots showing the completed quarterdeck bulkhead with curved pillars and panels, decoration, door hinges, ladders and breastrail, all included in the kit. 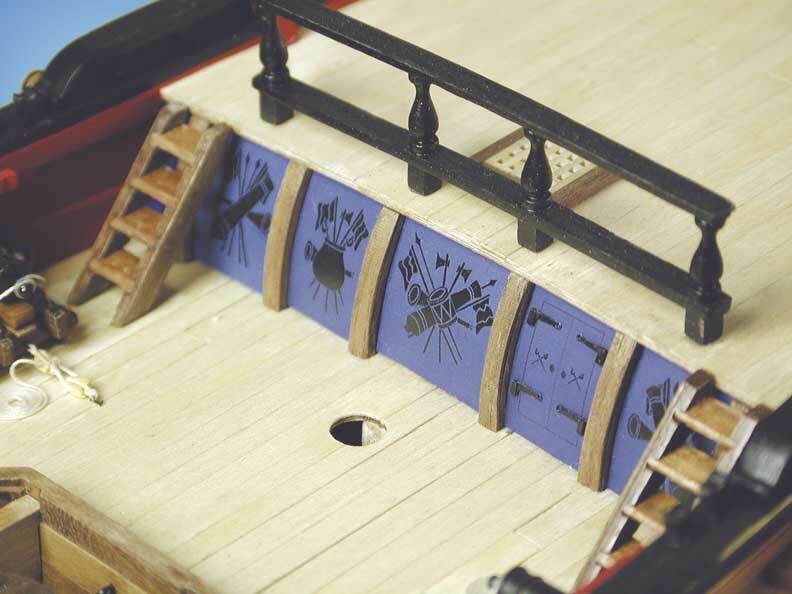 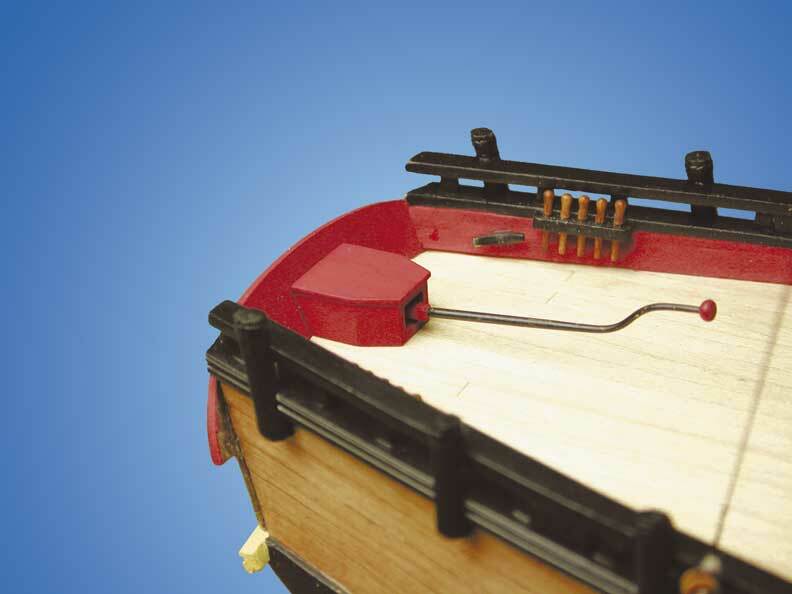 Four shots showing the rudder head (with mortice for the tiller), tiller and tiller housing and the assembly sequence. 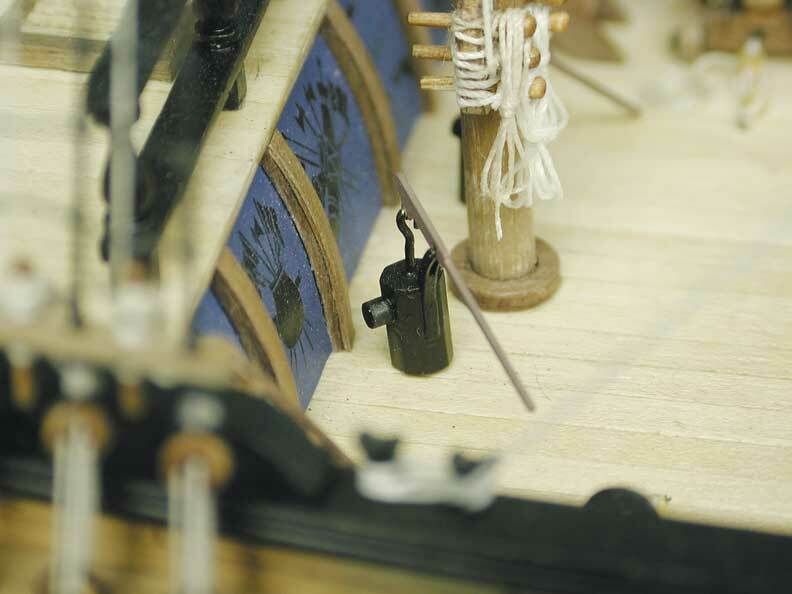 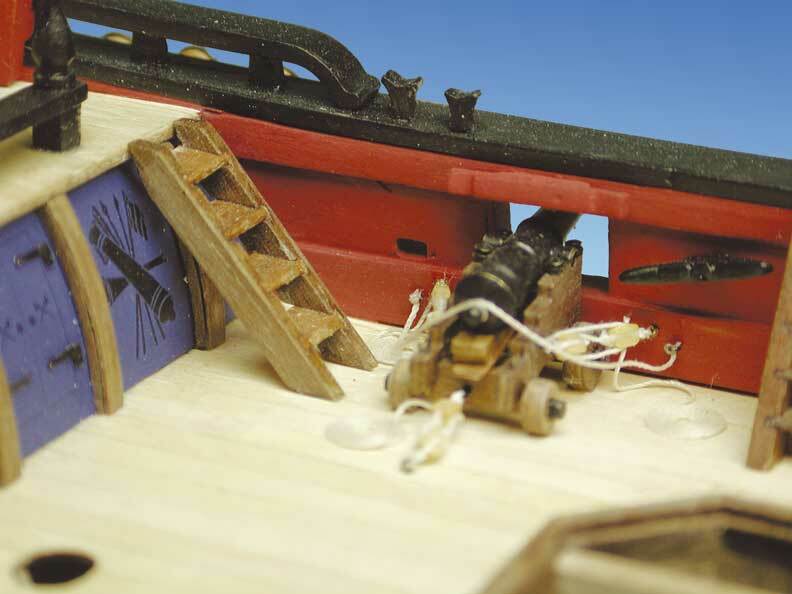 Close up shot showing the elm tree pump, mast coat and note also the mizzen mast pinrail.